Boulder City Parks and Recreation Jayden Thackeray runs with the ball during a city recreation flag football game. The Boulder City men’s softball league will begin its postseason tournament on Nov. 16 with Boulder Dam Credit Union in the lead and Mad Dogs and Pit Stop behind. The round-robin tournament will conclude on Nov. 30. The coed softball league recently began its second round of games, and Boulder Dam Credit Union remains undefeated with Boulder Bowl, Boulder Dam Brewery and Classy N Sassy behind. The coed league plays Sundays through Dec. 17 at the Hemenway Valley Park ballfields. The Boulder City Parks and Recreation Department is hosting an adult dodgeball tournament this holiday season in the old gymnasium at the Parks and Recreation building at 900 Arizona St. Participants must be at least 16 years of age. The entry fee is $60 for a double elimination tournament on December 16 from 5 p.m to 8 p.m. Registration is open Monday through Thursday from 7 a.m.-6 p.m. at the Recreation Center. The Boulder City Parks and Recreation Department is gearing up for the annual turkey shoot. The event is scheduled for Nov. 14 to 15 at the ABC Park gymnasium from 2:30 p.m.-4:30 p.m. The cost is $1 for eight shots, with proceeds going to the youth sports programming. Albertsons is sponsoring the event and donating turkeys for the winners in each age category. 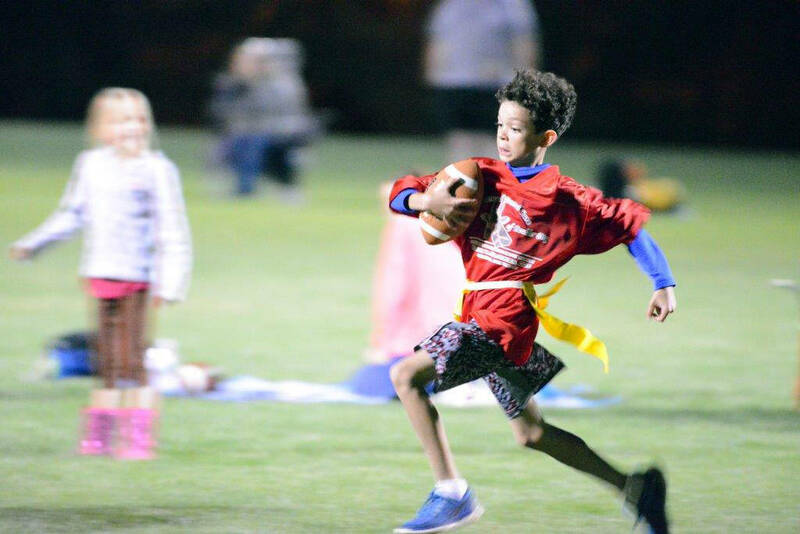 Youth flag football is being played on Mondays and Wednesdays beginning at 6 p.m. through November at Veterans’ Memorial Park’s Pratte Soccer Fields. This league is coed and supports third-graders through eighth-graders. There are four teams in each age division. This year it is sponsored by both SDGE Energy and Copper Mountain Solar.